p(blue). Editor's note: Check out Cynthia's column on Culinate. Feeding the Whole Family starts with the basics of creating a whole-foods diet, from understanding grains and beans to determining what meats are acceptable to eat. 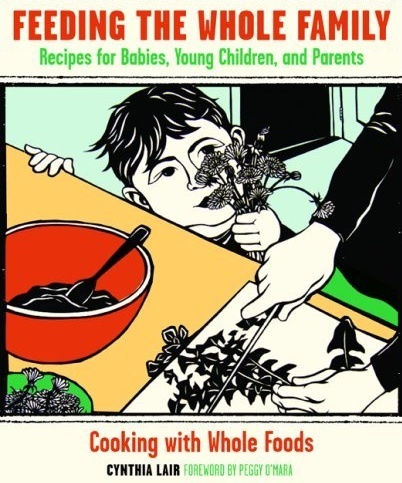 Author Cynthia Lair then applies these lessons to cooking for young children and babies aged six months and older. She explains how to adapt each recipe separately for both children's and adults' palates. This updated edition includes the most current nutritional research along with 65 delicious new recipes, including meat dishes.